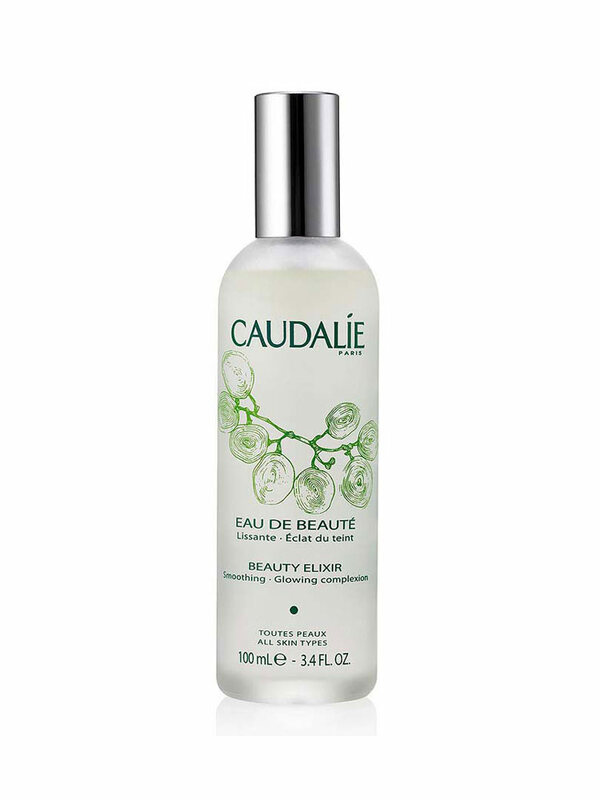 Caudalie Beauty Elixir has smoothing properties, and illuminates the skin for a radiant complexion and look. It is suitable for all skin types. Inspired by the youth elixir of Queen Isabella of Hungary, this skin care smoothes features, tightens pores and provides a true radiance to complexion. This elixir awakens skin when used in the morning, and gives it a boost when used before a night. A blend of grape, orange blossom, rose, organic lemon balm and rosemary, offering a wonderful fragrance and making the applications a real pleasure. Your skin is radiant, you are glowing with health. Paraben-free, phenoxyethanol-free. Against animal testing 100% Natural Frangance. Shake before use. Avoid the eyes. 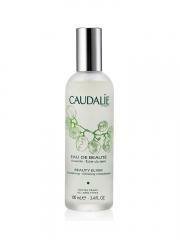 Spray on your face before your moisturiser, in order to refresh your skin and fix your make-up. Indication: Face beauty and tone. Officinalis (Balm Mint) Leaf Oil*, Rosa Damascena Flower Oil*, Vitis Vinifera (Grape) Fruit Extract*, Citral Citronellol*, Farnesol*, Geraniol*, Limonene*, Linalool*. Active Ingredients: Raisin, fleur d'oranger, rose, mélisse bio, romarin. Просто королевское средство! Покупаю уже вторую бутылочку и буду брать еще. Не могу выделить, что же именно оно делает для кожи, но это "что-то" определенно ей нравится. Прекрасно освежает и увлажняет. Наношу в течение дня поверх макияжа - в пыльном и сухом офисном воздухе это именно то, что коже нужно. Имеет очень нежный освежающий аромат мяты. i LOVED THE PRODUCT AND THE PRICE IS A LOT BETTER THAN LONDON ANY WHERE. Lovely smell and excellent pick me up. Amazing product, it tightens pores and great for dehydrated oily skin.